Will Tesla respond with a billboard war? 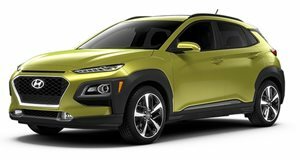 The Hyundai Kona is an in the same vein as the Mazda CX-3, Honda CR-V, and Toyota C-HR. The Kona Electric is even more impressive with an electric driving . Hyundai is clearly proud of its new electric crossover, so it seemed appropriate to brag on a billboard. spotted a billboard in Europe that reads, "Your turn, Elon." At the bottom, the billboard notes, "The first compact electric crossover is here." Tesla is , but Hyundai built one first. It will be interesting to see if Tesla CEO Elon Musk responds to this callout in some way. Tesla doesn't spend money on traditional marketing, but Musk has been known to make his opinions known on Twitter. This isn't the first time an automaker has called out Tesla using a billboard. An Audi dealership in Berlin created a billboard showing the with the caption "Musk-Have." Unlike Audi's attempt to troll Tesla, Hyundai's seems much more effective because the Kona will soon be on sale. The Audi was merely a concept car. We love the idea of a billboard war between automakers. BMW and Audi famously entered a billboard war, which BMW won by using a blimp. It doesn't seem like Tesla has an answer for the Kona at the moment, until the Model Y is finally announced.